Now that I have taken on the responsibility of maintaining the Transkids.us website (with my husband’s dutiful help, as I’m not all that good with web stuff, it not being my field, but was his before he retired) we’ve moved the site to a new host and begun to clean-up typos and other issues, including dead links. We’re not done yet, but it is improving. 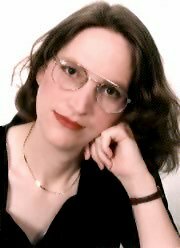 In cleaning up some of the typos and silly grammatical errors (it’s amazing what a misplaced comma does to a sentence), I’m once again marveling at the insight of the original authors, especially “Alex Parkinson” (not her real name) in her essay on how GID as a theory obscures the real nature of transsexuality. If you have never read it, you really should take the time to do so now. Read it very slowly, as though the words were being spoken aloud by an erudite lecturer. The essay is amazing for such a young author. Although the original authors have moved on… which is as it should be for young people to do, I have been wondering where this should go next. I have come to the conclusion that additional voices, additional essays, would be welcome. If you are a transkid (transgender youth), who is clearly such, and have insights into the issues being explored at the transkids.us website and/or here on my blog, I would welcome a dialog. Its been ten years since the original authors took note of the controversy surrounding the publication of Prof. Bailey’s book, The Man Who Would Be Queen, and it is time for a new perspective. The edits are pretty much complete. If you find dead links or serious typos, please let me know? I’ve been rereading the posts as I edit them. I was once again struck by how well many of the issues were addressed. I would strongly recommend that any and all gender therapists and physicians read the recommendations regarding treatment of MTF transkids. I find it difficult to add much to them, save perhaps to amplify by example. IF you are a health care provider working with transgendered children or teens, and would care to discuss more explicit and detailed recommendations with me, I would be very interested in working with you. There are things that I would not wish to discuss in an open forum.